Check out the latest episode of Intermission, as Host Nicholas Jason Lopez talks about pro wrestling news for 15 minutes with help from his Facebook feed! 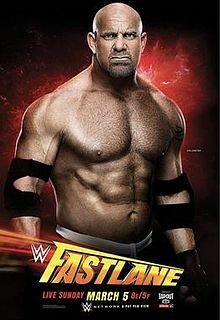 – The opening video showcased WWE Universal Champion Goldberg’s victory over Kevin Owens at Fastlane. They wasted no time to show Brock Lesnar’s interruption of his promo last week and subsequent face-to-face. All of this was to of course, hype their encounter for the Title at WrestleMania 33. As we remember, Lesnar stood tall at the end with an F5 while Paul Heyman provided the verbal bloodshed. Basically, the momentum shifted from Goldberg to Lesnar. Good time for this to happen with Mania in the wings. – The opening video recapped WWE Universal Champion Goldberg’s defeat over Kevin Owens at Fastlane the night before that lasted just longer than a National Basketball Association shot clock. 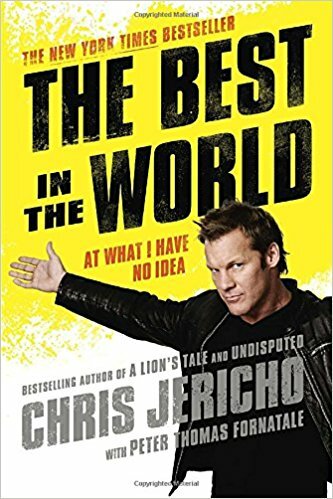 WWE United States Champion Chris Jericho – once Owens’ best friend that was betrayed mercilessly weeks prior – cost him the belt that he at one point helped him keep countless times. He did that with his simple presence on the ramp, which deterred Owens from his “mind games” strategy of repeatedly stalling for time. We hoped they’d work in actual footage of Jericho helping Owens time in and time out (Dammit, WWE Network, there’s an archive waiting to be used) but they did give us the line from Commentator Michael Cole, so we guess we’ll settle for that. On the other side of the WrestleMania 33 spectrum, this sets up an inevitable Universal Championship match between Goldberg and Brock Lesnar, just what their third match in history needs. Indicative of the lackluster Raw brand compared to the glitz of SmackDown Live’s progressive storylines and vibe, Fastlane is what you get when you bring WrestleMania season into the fold. Ice cream bars, Jinder Mahal singles matches, potential streaks ending and questionable creative decisions are what this Fastlane will be best remembered for. Also let the record show that the Cruiserweights stole the show and it wasn’t close. Deemed “the last stop before WrestleMania,” this one had us downright sleepy at the wheel at times. Drive with caution. Image courtesy of The Bonesaw. 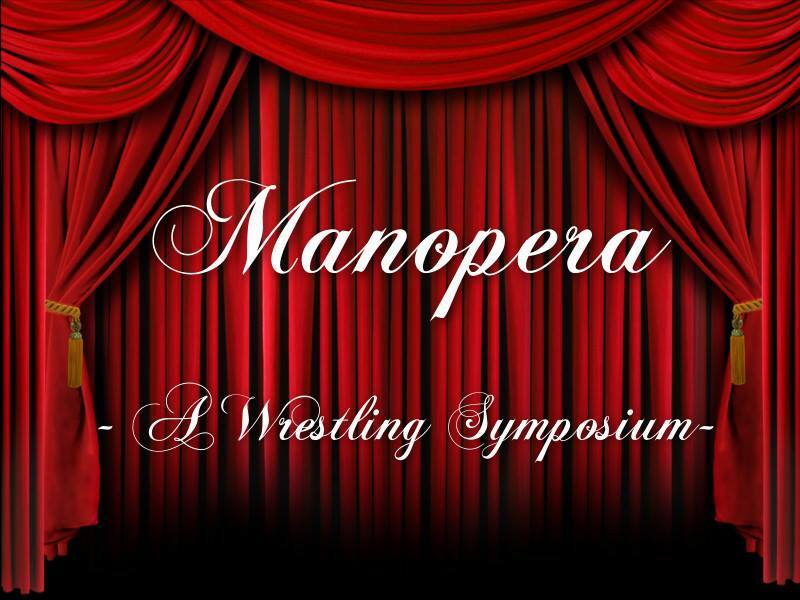 Check out the latest edition of “Manopera! A Wrestling Symposium” from our friends at The Bonesaw as PWO’s own Nicholas Jason Lopez joins a discussion with Hosts Chris Butera and “Spaceman” Frank about the best and worst of pro wrestling in 2017! Photo courtesy of Wrestle Talk Podcast. 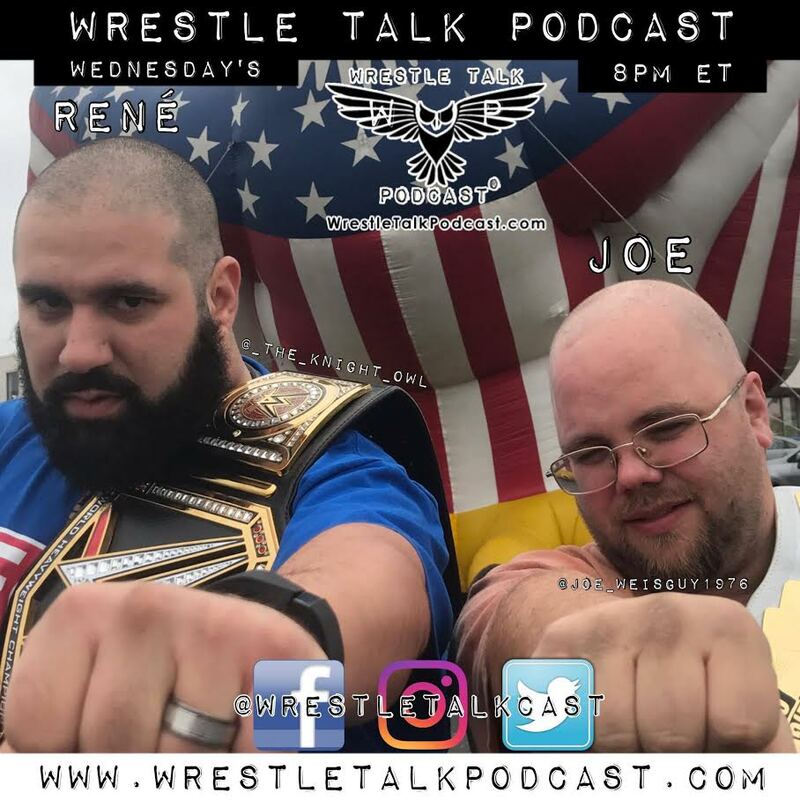 Check out the latest episode from our friends at The Wrestle Talk Podcast With Joe & René, which features Special Guests Shawn Hernandez (Lucha Underground) and AJ Awesome (The AJ Awesome Show). Discussions include Survivor Series 2017, Kenny Vs. Jericho, Lucha Underground Season Four and much more! Thrust once more into pro wrestling relevancy with his recent challenge to Kenny Omega slated for New Japan Pro-Wrestling’s Wrestle Kingdom 12 on Jan. 4, 2018, Chris Jericho’s career stock may be the highest it has ever been. At this point, it’s like what hasn’t he done? It will always be argued though that Jericho’s true creative renaissance was between 2008-2013, when he was forced to do different things to get his now-stale character over with the fans and thus, churned out the best promo/ring work of his career. Photo courtesy of The Shining Wizards Podcast. 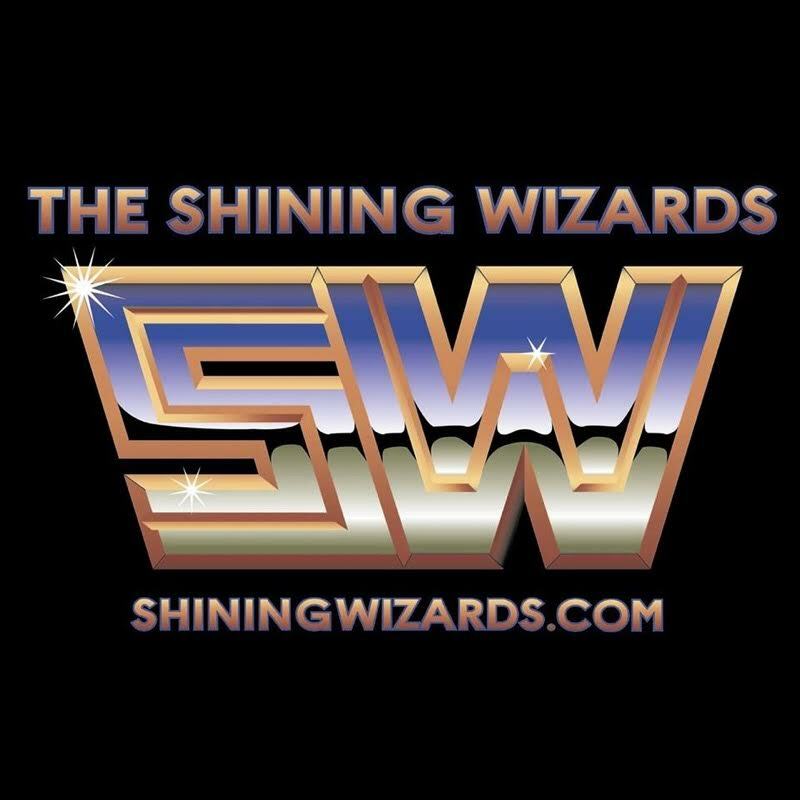 Check out the latest episode from our friends at The Shining Wizards Podcast, which features discussions on WWE TLC 2017, AJ Styles Vs. Finn Balor, Asuka’s debut, Kurt Angle’s in-ring return, Kane defeating Balor on Raw, Nia Jax’s leave of absence, Chris Jericho-Kenny Omega Twitter war and Ric Flair’s 30 For 30! – Raw was in Las Vegas, we had a big WWE Raw Women’s Championship rematch between Champion Charlotte and Bayley and above all else, a “Festival Of Friendship” WWE United States Champion Chris Jericho was throwing for WWE Universal Champion Kevin Owens. Add up all the ingredients and figure out where it can possibly go wrong. Exactly. To start the show, out came Commissioner Stephanie McMahon, which meant we got the old-fashioned 20-minute talking promo. Vintage Raw. She “gave” General Manager Mick Foley “the week off” and emasculated him without his presence this time. She went for the classic hometown cheap pop. Lord. Here comes Roman Reigns. Just why? This “Big Dog” nickname sounds so forced and won’t ever catch on. He demanded Braun Strowman, even though he’s guaranteed to face him at Fastlane on Mar. 5., like bro, can’t you wait? Real world exercise – ask your boss for your vacation and then a month before it approaches, demand it right now. See how that works out for you. From Steph’s point of view, why on earth would she oblige? We’re reminded she’s a heel and gets the crowd worked up for the prospect of it happening and then does the “boss” thing and prevents it because “she cares.” Cue the boos. She does announce that Strowman would face Mark Henry later. That sounds nice. She’s the boss, so she threatened Reigns and teased taking away the FL match and subsequent WrestleMania bonus. Reigns only got more aggressive in his stance, which drew WWE Raw Tag Team Champions, Luke Gallows/Karl Anderson. This can’t be good. They sucked up to Steph and suggested a Handicap match. Why wouldn’t she? Anderson sported a Club shirt that had similar fonts to the classic Bullet Club tee. Oh, subtle copying. Cue a mini-“brawl” where Referees have to pull them apart before we go to break. Let’s get to the match portion of things. Not much to write here, as the “numbers game” ran the pace, though Reigns powered in some offense. For some reason, the Champs ignored requests from the Referee to not beatdown their single opponent and were disqualified. Meh. Reigns fought out of the Magic Killer and then walked away. The Tag Champs don’t look any stronger and neither did Reigns. What exactly was this supposed to be? – One week after Samoa Joe’s riveting debut that involved a sideline beatdown of Seth Rollins, it was probably no secret that the angle would be the focus to open the show. It’s funny how the Rollins-Triple H storyline mulls along through the months, but with big happenings, it heats up. At this time, Rollins was likely to miss WrestleMania, which actually put more heat on Joe and rather than ignore that, they used it to their advantage. The opening video delved into all that, with sleek editing that actually brought meaning to Trips’ promo on Rollins last week and set up the moment well for Joe to attack. We’ll guess Joe will be branded as “The Destroyer” from hereon out. The key as always is the followup.